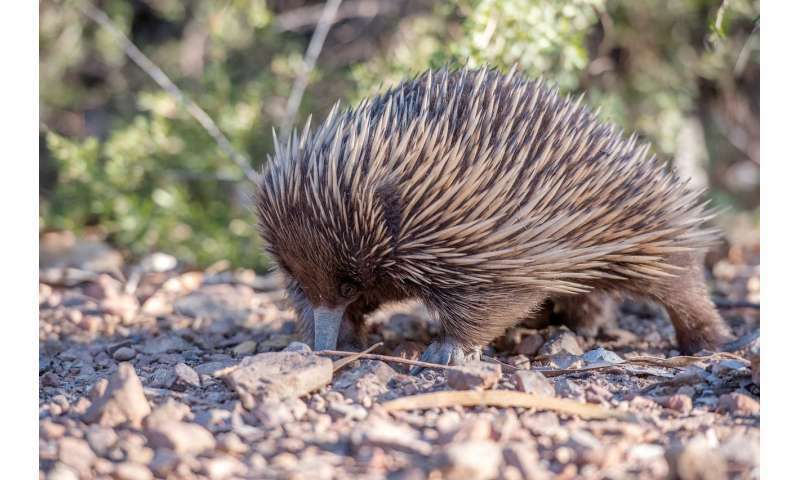 To help answer it, Harvard researchers are turning to one of the most unusual mammals around—echidnas. These sprawling, egg-laying mammals have many anatomical features in common with earlier mammal ancestors, and so can help bridge the gap between extinct and other modern-day mammals. "...the question of how all that diversity evolved has remained a vexing one for scientists." For some scientists. Maybe they should very seriously consider the possibility that animals haven't evolved, and it would answer many of their difficult questions. After all, there is to this day zero proof whatsoever that evolution is real. It is really all made up. You have a theory, now prove it. Only someone who does not really care enough about the science to study it would troll it so ineptly. This is what biologists and others have done for century after discovering evolution. No serious contender ever presented itself, and of course with genome evidence adding to earlier fossil and biogeographical evidence it is not expected - 3 independent observation series say the same thing. And of course it would take anyone a few minutes (well, hours the first time, while learning how) to see the evidence for themselves by running their Own Private Test(TM) on open databases and software provided by, say, NCBI. Just apply some elbow grease for once in your life - engage brain before engaging mouth. Then come back and try to tell us there is a possibility that what you saw was not what you saw. Instead we get witless trolling. >Bjorn, bjorn, Yes, I agree.